Powered by a Briggs & Stratton engine this chain type trencher creates trenches up to 12" deep and 3-1/2" wide. 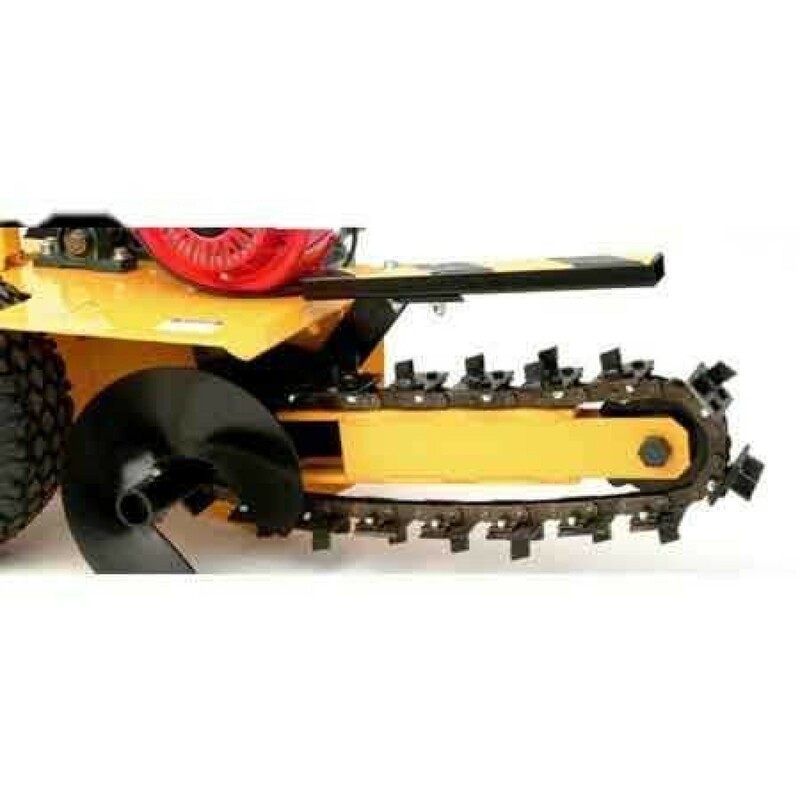 The Ground Hog T-4 Trencher is a 3" X 18" mini Chain Type Irrigation Trencher. 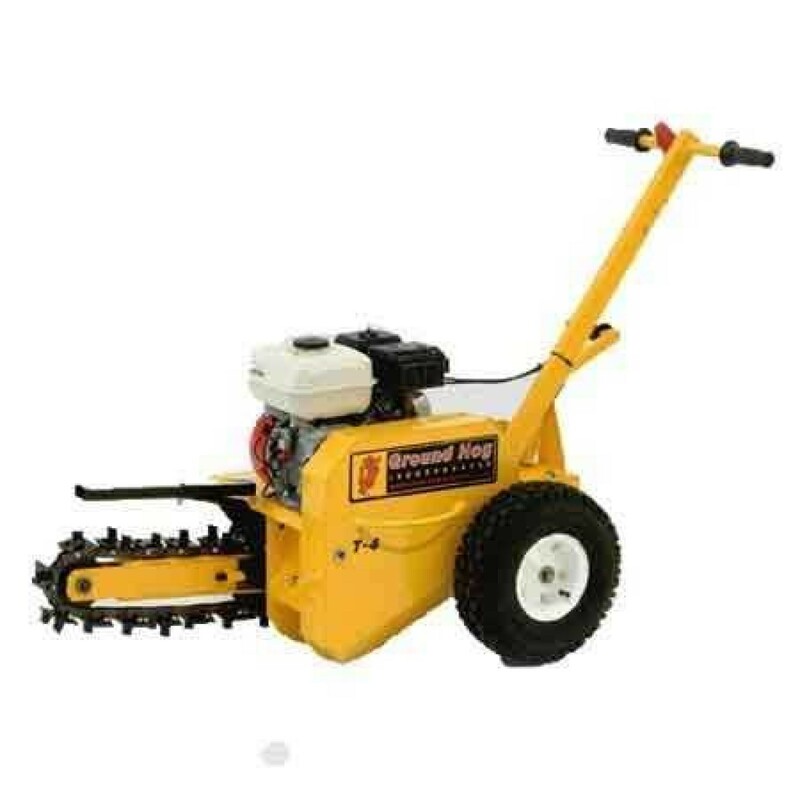 It features a highly maneuverable design for trenching close to walls, fences and more. Creates trenches 6", 8" and 12" deep. Trenches are dug from 3 to 3-1/2" wide. 14" wide pneumatic tires with tubes. 18 replaceable carbide tipped rock-type bits. Equipped with a solid roller digging chain.